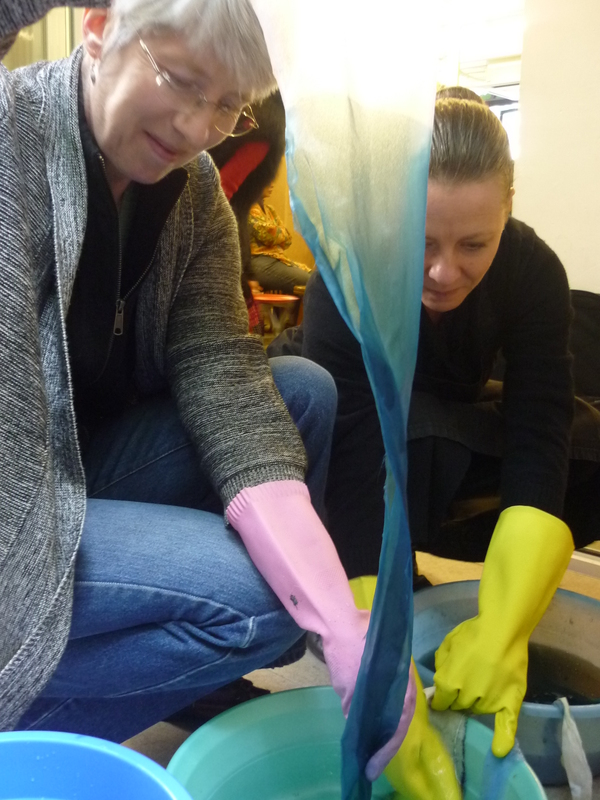 Click on indigo workshop to see notes.This workshop was literally a great leap forward in dyeing with the indigo plant. I was keen to learn from Michel Garcia and put into practice the ideas we learnt from Yoshiko Wada in 2010 in Nelson. Although the indigo process and materials are very important it’s also the cultural history and contemporary links that fascinate the dyer. The modern textile artist has a lot to gain by this practice. The magic of the indigo transformation process continues to lure the colourist into a world of impressions on cloth.